My favorite bird, the Snowy Owl. 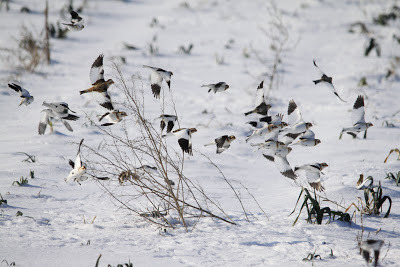 It's become a New Years Day tradition for Rob and I to go birding, as long as the weather cooperates, and today it did. Being in bed just after midnight has us up and outta the house quite early to enjoy a good morning of birding. 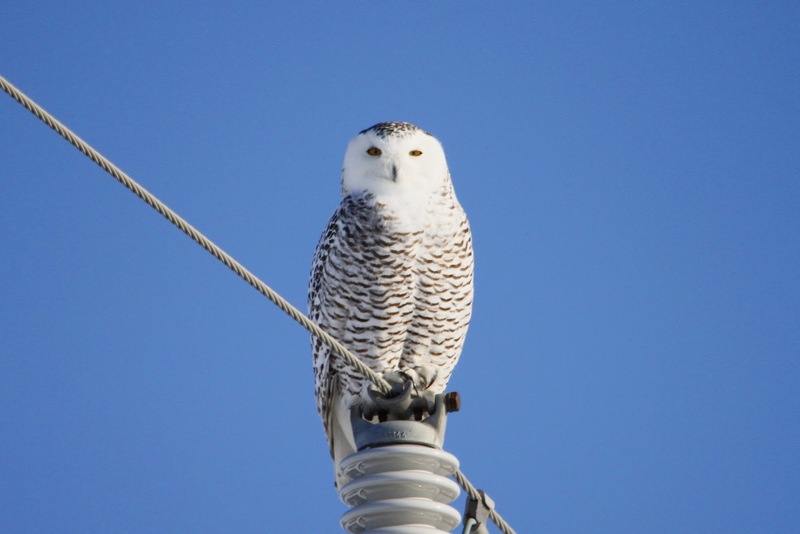 Today we went just about an hour north of Toronto to an area where we knew our chances of seeing a Snowy Owl were pretty good. We ended up seeing 3, a record for us in that particular spot. I had another "snow" bird on my mind though, Snow Buntings. A friend had let us know he had seen some there the day before. 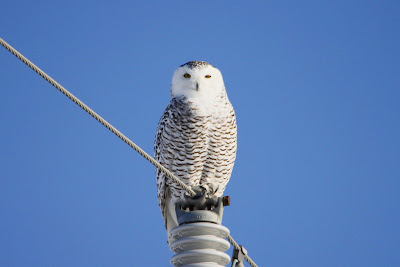 As in every birding outing there isn't any guarantee the birds will be there, but today they were, and I was thrilled to see this winter visitor for the first time this season. I can still remember the thrill of seeing them for the first time ever, last year. I did a blog about it then. I love the aerial show they put on when they fly. The 2013 birding year is off to a good start! Sounds like a successful day! 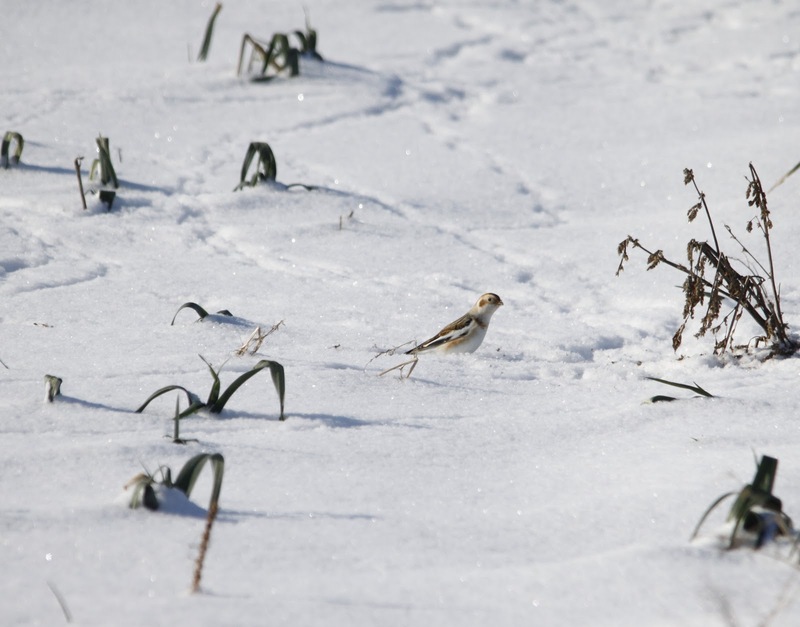 I love your photos of the Snow Buntings! I see them all the time but have never be able to get a photo. Happy New Year! Both are birds I've not yet seen.